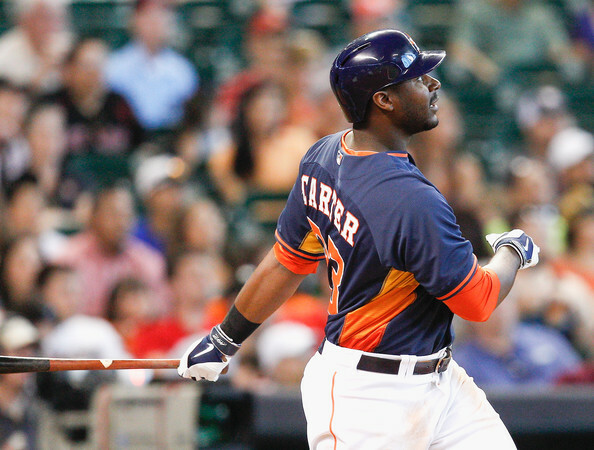 Chris Carter iis leading the Majors in bombs since May 09 – with 28 big flies and 66 RBI during that time frame in just 305 AB. He has fashioned his bolts in a short amount of time by having Multi HR Games, and also coupling it with consecutive streaks. This guy is looking like a keeper for Houston, and may be one of the guys that got away from Billy Beane. The massive DH/1B/OF burned his old squad last night by drilling a 3 run bomb in the bottom of the 8th inning to give the Astros a 4 – 2 win. The victory knocked Oakland out of 1st place. I think he will win the HR title in the AL now. Wouldn’t that be something if he won that, in addition to Jose Altuve possibly winning the Batting title? Chris Carter… we have been preaching this man’s name at this website for years. Our founder and former lead writer Jonathan told me about this man 3 years ago. 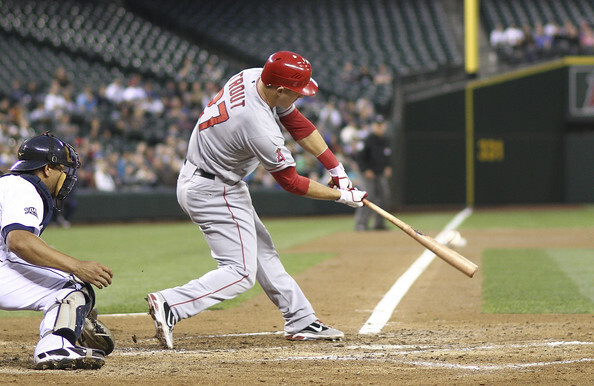 When he was traded by Billy Beane, Jonathan explained it would be a deal that he will regret. Now with the A’s lacking some firepower, and Jed Lowrie on the shelf, plus having an off year, the Astros are looking good in this one. I have also pointed out the A’s GM forced the Astros to go over their roster limit – exposing Nate Freiman for him to pluck as a Rule 5 Draft right after, however it is hard to argue the “Moneyball” man may end up on the wrong side of this deal long-term. It would behoove Oakland to have Freiman see more Plate Appearances. The big 6 ft 7 behemoth clubs 3 HRs in 2 games in Atlanta – and then rides pine for 4 games in the next week. That is a blog for another time. We are talking about Chris Carter. This big man was once an afterthought in Houston this year, despite bombing 29 jacks in 2013. Bo Porter was taking flak for having CC still in the lineup back in May when he was hitting about ..153 with 4 HRs as of May 9th. 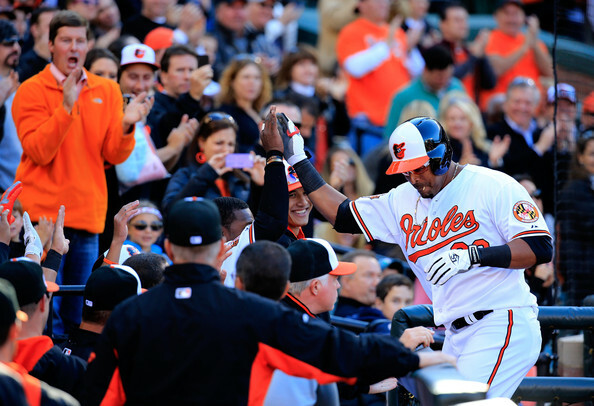 Since that day, he has crushed 28 HRs and added 64 RBI.in his last 302 AB. This represents about half of a season, and this guy has been completely on fire. You are looking at my new pick to win the AL HR crown with Carter. I think Nelson Cruz and Jose Abreu have cooled down too much. Cruz will be pitched around in the next 5 weeks especially. David Ortiz could put some dingers on the board as the Red Sox are not in contention, however I think he has more patience to draw walks still. Carter is in the same boat of playing for a non – contending team, and he is more prone to grip it and rip it, as is 145 SO indicates. Mike Trout is also in the chase, however with a lot of games versus the AL West, in non-hitting friendly park will hurt his chances. Yes Carter has some of those challenges too, but Minute Maid Park is a great home stadium to blast. 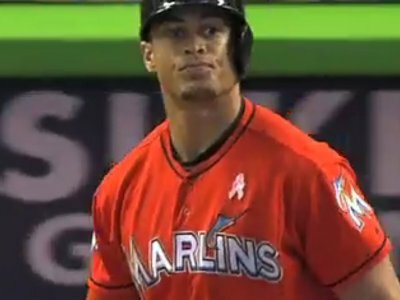 I am happy to say that I am staying with the MLB Reports preseason pick to win the NL Crown in Giancarlo Stanton. He only has to really fend off Anthony Rizzo, Justin Upton and Lucas Duda, as everyone beyond that is all 10 HRs behind. Upton is too streaky, Duda is 7 HRs back. Rizzo has the best chance being just 3 off the pace, but I think is the Marlins RF all the way. Giancarlo Stanton blasted his 33rd HR of the year Monday, which was also the 150th of his career, putting him in elite company for men that have compiled that many homers before they turned the age of 25. He was the MLB Reports pick to win the NL HR crown, and so far he has not disappointed us. I am a firm believer that if he has a solid last month, and the Marlins are .500 or over, he should take home the NL MVP. Posted on August 27, 2014, in HRs and tagged anthony rizzo, billy beane, bo porter, chris carter, david ortiz, giancarlo stanton, houston astros, jed lowrie, jose abreu, jose altuve, justin upton, lucas duda, mark reynolds, marlon byrd, Mike Trout, nate freiman, nelson cruz, oakland athletics, top home run hitters MLB 2014, troy tulowitzki. Bookmark the permalink. Leave a comment.